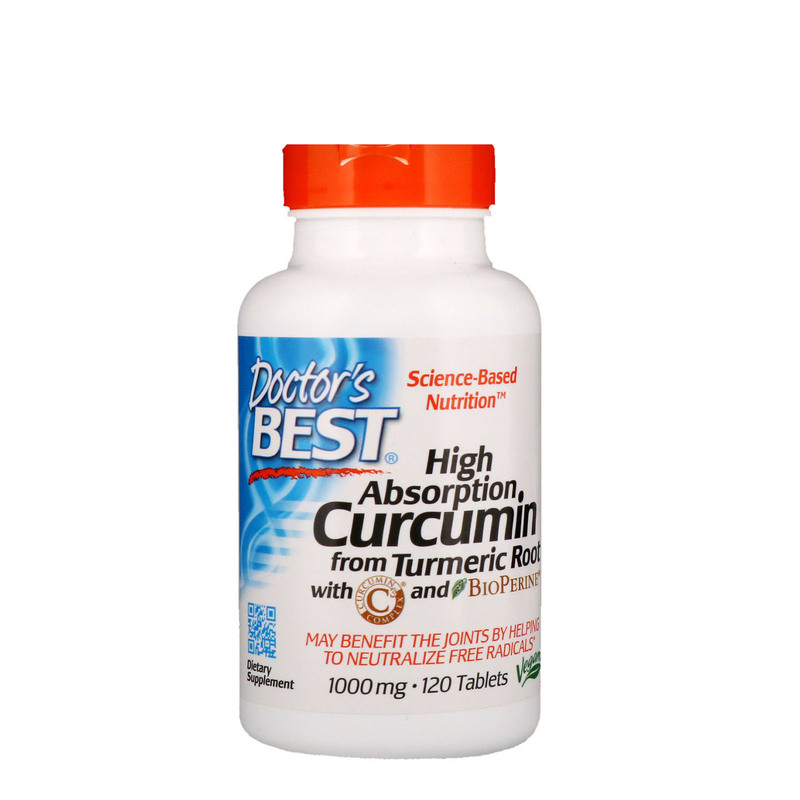 Doctor's Best Curcumin with Curcumin C3 Complex and BioPerine contains a potent standardized extract of Curcuma longa root, known as turmeric. Turmeric has centuries of tradition in Ayurvedic healing. The active ingredients in Curcuma longa are curcuminoids, compounds that demonstrate potent antioxidant properties in scientific studies. 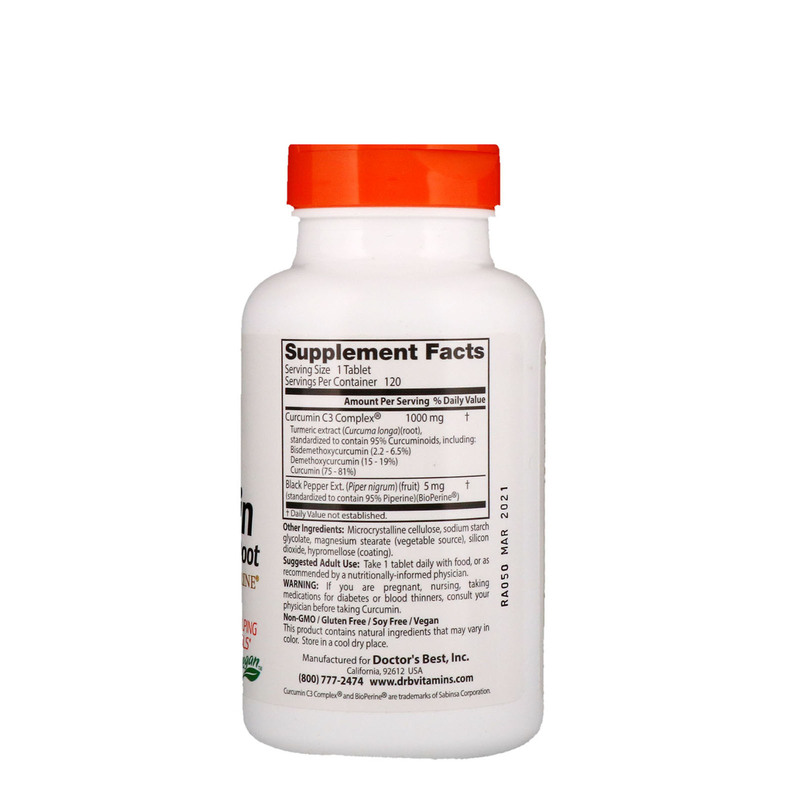 Curcuminoids may benefit the joints, brain, heart, and circulatory system by helping to neutralize free radicals. Adult Use: Take 1 tablet daily with food, or as recommended by a nutritionally-informed physician. Microcrystalline cellulose, sodium starch glycolate, magnesium stearate (vegetable source), silicon dioxide, modified cellulose (coating). This product contains natural ingredients that may vary in color. If you are pregnant, nursing, taking medications for diabetes or blood thinners, consult your physician before taking Curcumin.